Our trees have been lovingly nurtured to give only the finest natural ingredients. Citrina fruit is highly versatile, letting you experiment with anything from cocktails to desserts to main dishes – and wowing guests with your home-grown produce. With so many exciting possibilities, you will be keen to start playing in your bar or kitchen straight away…so to help you get started here are some tried and tested recipes for Meyer Lemon - a fruit of our Lisa. In a saucepan add the Meyer juice to the butter. Melt over in a low heat. In a bowl, mix the eggs with the sugar, whisking vigorously, then pour the melted butter and Meyer juice on it. Return the mixture into the pan and cook (3 min) until the Meyer filling has thickened. Pour this Meyer cream into the tartlets and refrigerate. Whisk the egg whites while adding half the sugar, and continue to whisk again until reaching a very firm meringue. Add the remanining sugar in the end to tighten the meringue. 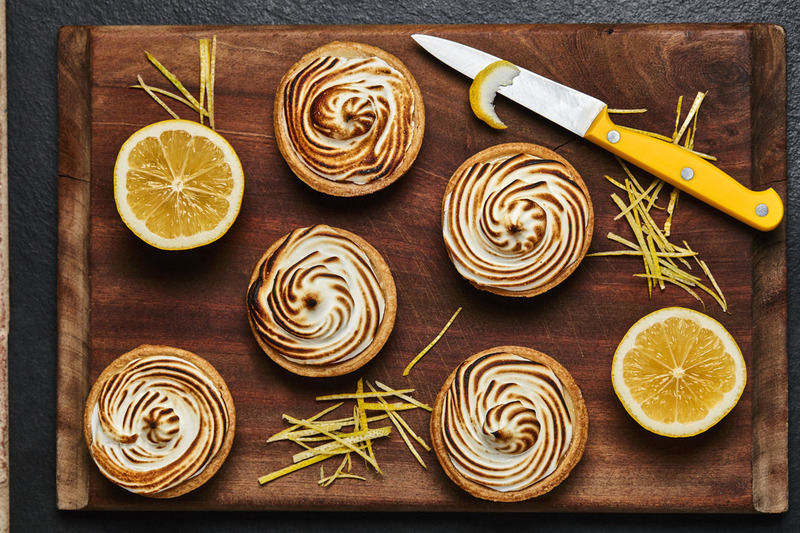 Using a piping bag draw small meringue spikes on the tartlets, then burn with a blowtorch.